One of the advantages of visting a city with seven hills, is that you have access to some great viewpoints also called “miradouros”. Whether it be cafês, restaurants, bars, lounges or open spaces, you can always find great places to enjoy splendid view over the city. Of the viewpoints we visited, here are the ones we liked the most. A local contact tipped us about this place and we are VERY greatful for that. This place is the locals hidden gem and an “it” spot in the summer time. It is basically a terrace with lounge and restaurant on top of a parking building. Hence the name. Its located in Bairro Alto and its clientele is mostly locals. We loved this place. Here you can sip on a cocktail while enjoying the magnificent view over the city. The clientele is trendy and young, the decor is cool and relaxed. We were there during daytime, but it’s apperently quite a hot spot during night time. This is basically an open space with a lovely garden. 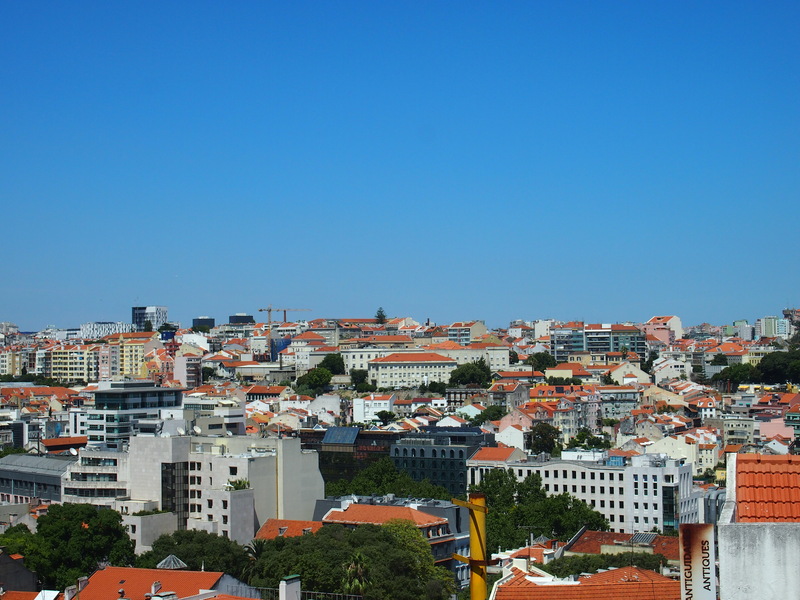 Here you have a great panoramic view over central Lisbon. You can bring/enjoy a take-away lunch and simply gaze across the city. It’s beautiful and worth a the visit. Located on the top floor of a hotel in the heart of Bairro Alto. The terrace has an amazing view. It’s a nice place to lounge and lunch with a drink after roaming the city. The negative things about this place is that it’s not so spacious, there were few locals, and prices were unnecessary high in comparison with similar places in Lisbon. The clientele is mxture of young and older, well dressed and casual. Frankly the view was what made our visit to this terrace worthwhile. The view at night time….priceless! 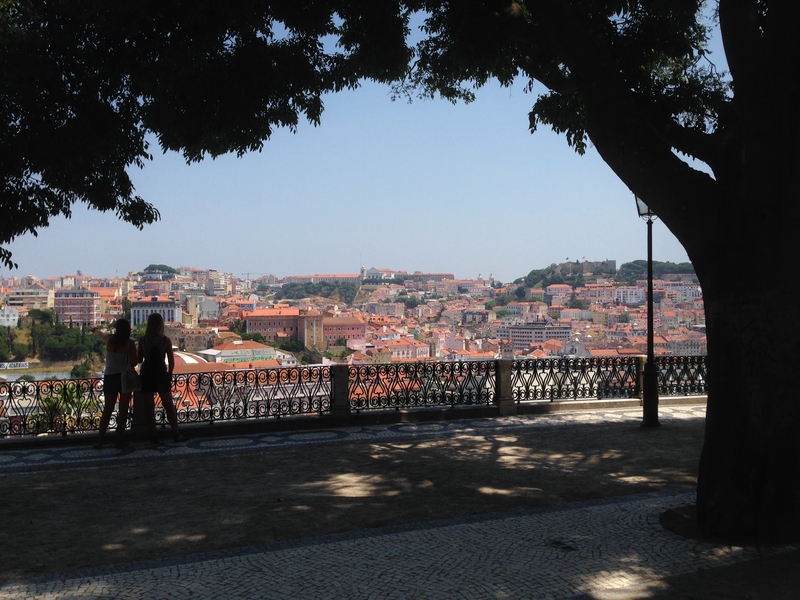 Located in Alfama district, this is perhaps one of the most attractive viewpoins in Lisbon. The Terrace/cafe Portas do sol is a bar,lounge and restaurant . You can relax here with delicious wine and salad in a comfy sofa, while enjoying the great view overlooking the River Tagus. Worth the visit if you happen to be in the Alfama area. The clientele is a mixture of tourists and locals, young and older. The view is quite awesome during the night time. 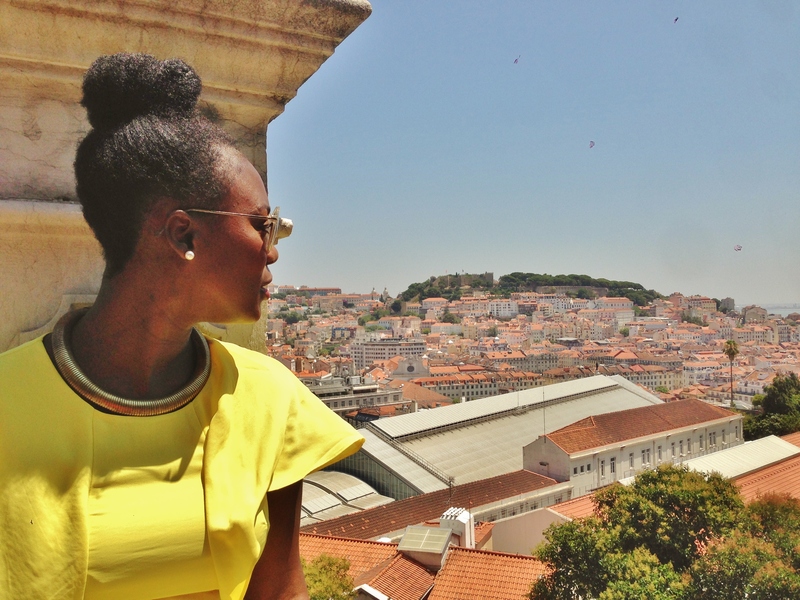 There are so many more viewpoints in Lisbon. One that is popular among tourists is the Santa Justa Elevator. It is also referred to as Lisbons Eiffel tower. It has, I can imagine, an incredible view as it connects the lowest and the highest points of the city. We did not bother to take the elevator as there were loads of tourists and ridiculously long queue.